Good news! 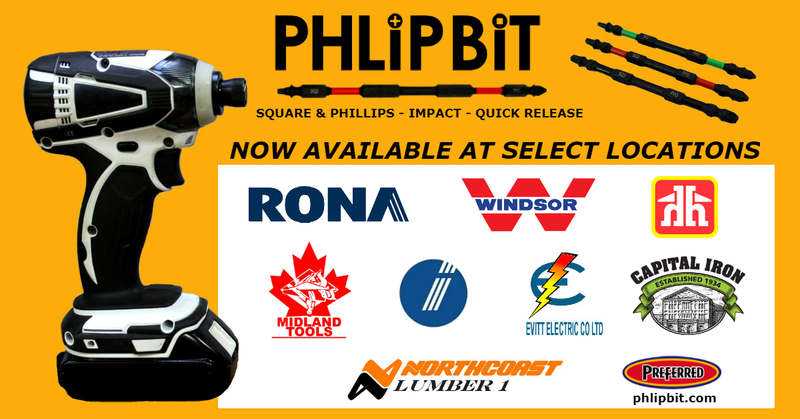 The much-talked about cool tool is now available in select stores in Metro Vancouver, Lower Mainland and Vancouver Island. Look for the bright orange PHLiPBiT signs at your local hardware stores. For a complete list of where to buy PHLiPBiTs, visit the PHLiPBiT page. First time hearing about this awesome tool? Don't miss out! Read more about why PHLiPBiT is a game changer. Not just a bit...ALOT BiT BETTER!